Ever wanted to check the remaining balance of an Apple ID, so you know how much credit is remaining for iTunes, iBooks, or App Store purchases? Us too, and it’s actually quite simple to see quickly from either iOS with an iPhone or iPad, or through OS X from any Mac. The only thing you’ll need is the App Store or iTunes app and the Apple ID you want to check the balance for, and since the App Store is included with every single Apple device you’ll be able to do this from just about anywhere. 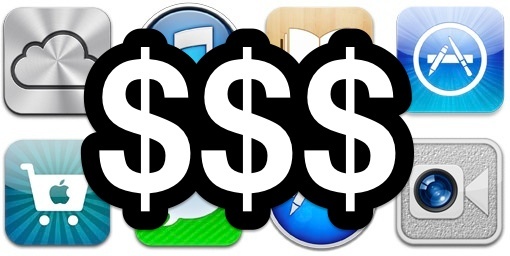 Keep in mind that balances and store credits are universal, meaning that an iTunes Store balance is available for purchasing things from the App Store or iBooks store, and vice versa, and App Store balances will be available for buying apps from either the iOS or OS X stores. 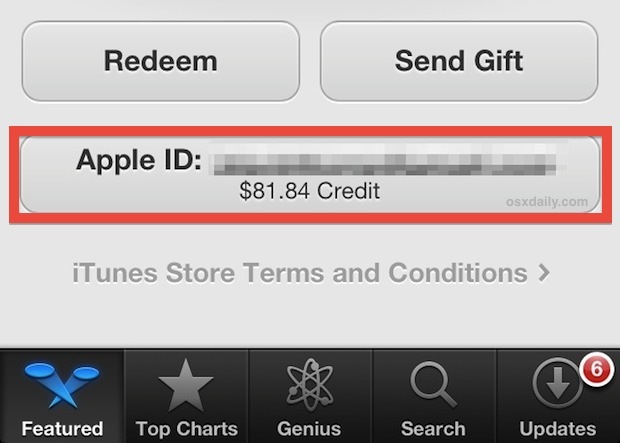 There is no differentiation in how or where the credit can be used, the only requirement is using the same Apple ID. This applies the same to both iTunes & Apple accounts that have credit cards and those that do not. Additionally, a gift card redeemed in one store or service will be available as credit in another, so long as the Apple ID is consistent. That is why it doesn’t matter which application you use to check the account balance. This process focuses on the App Store, though you could use the exact method in iTunes apps on any iPhone, iPad, or iPod touch. If you don’t see the balance listed immediately, it’s probably because the Apple ID is not logged in, or because it hasn’t be saved to the App Store or iTunes yet. In that case you’ll need to tap on the account name or email address and log in to reveal the balance. This will use the App Store application, but the exact same instructions apply to iTunes as well. To reiterate, though we have are choosing to use the App Store apps for both iOS and OS X for this walkthrough, the instructions are identical if you were to use the iTunes app in any operating system as well, be it on the iPhone, iPad, Mac, or even a Windows PC. You can also check balances from Newsstand and iBooks, because both are ultimately connected through the same Apple ID to iTunes anyway. If you’re using this to check the balance of a different Apple ID or associated account, or if you are checking your own iTunes/App Store balance from another persons computer or iPhone, do not forget to log out after you are done. Because an Apple ID holds account credits, credit card information, iCloud backups, purchase history, both iMessages and FaceTime addresses, the ability to redownload bought apps, and so much more, it’s pretty important to keep Apple ID’s secured with strong passwords, and to always remember to log out of computers or devices that are not yours. For added security, you can also enable 2-step authentication for Apple ID’s, though if you lose the backup keys in two-step mode you will be forever locked out of an Apple ID, meaning for some forgetful people it could be too secure. The other possible downside to two-step authentication is it makes it harder to check balances for other Apple ID’s, meaning it’s not always the most practical solution for families and even some educational or corporate users. Curiously, there is no current ability to check account balances on the official Apple ID management site at Apple.com, though that may change down the road. Obviously an ability to check and add to balances directly through Apple’s web site would be tremendously beneficial for managing groups of ID’s, but in the meantime you can rely on the excellent allowance feature of iTunes to allocate monthly credits to individual Apple ID’s. Card info on my iTunes account? I had $13.57 showing as my balance so I bought 6 songs @ $1.69 = $10.14 and it says I didn’t have enough credit for another song at $1.69. This has happened before where it shows a balance but won’t let you spend it before it says you don’t have enough. Well you need to follow the instructions to see your iTunes account balance, because this works to check your balance of any App Store account, but you know, following instructions is important. Tough stuff, for some kids these days! Put down the Facebook, read. How do I do this on a Windows PC? I tried the iTunes and Apple Store web sites. I can log in but I found no way to see my balance. I stopped using iTunes years ago so I forget what my balance is. I have changed my credit card, probably before my bill. Now I’m trying to put in my new credit card number and it says ‘There was a problem with the previous purchase’ what do I do please help. I have changed my card because it was used fraudulently. I fully understand that there might be an unpaid bill on the card before i changed it, But how can i pay those bills because if i supply my new credit card number and security code it declines? 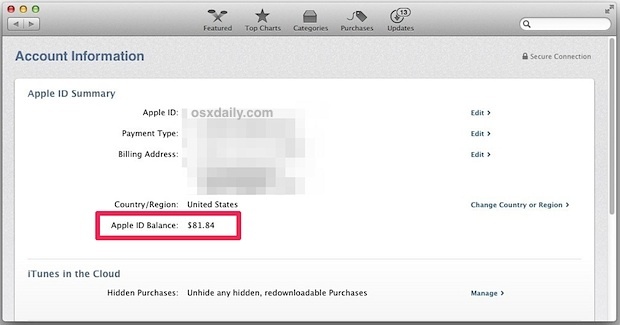 I wish to change to the UK App store from the US App store, but am unable to as I still have a balance… of $0.03! Is there any way of getting around this? Add a real, valid credit card to your account, buy something for 99 cents. The credit card will be charged the difference in price. Then, change the store. Hi I have a credit of .74c and need to change Apple country but it won’t let me due to the credit. How do I change it ? Add a real, valid credit card to your account, buy sometyhing for 99 cents. The credit card will be charged the difference in price. Then, change the store. Updated my iphone to ios9 after that my itunes balance disappear.